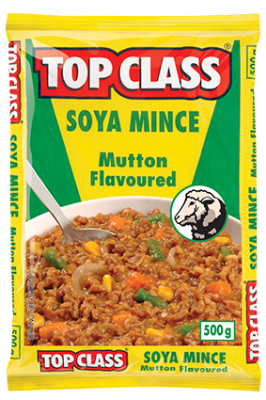 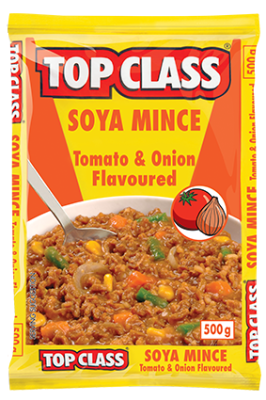 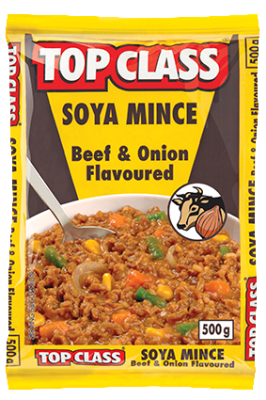 TOP CLASS Soya Mince is a tasty blend of quality food ingredients. 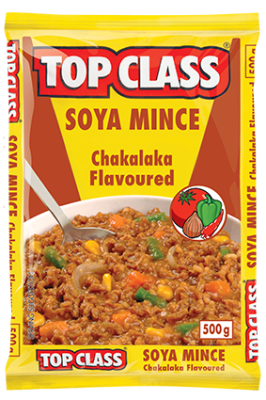 It can be used on its own as a tasty chunky topping, or gravy for rice, pasta, pap etc. 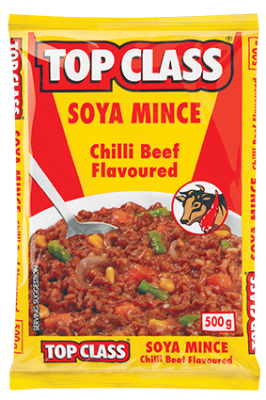 It can also be used to extend mince meat and add texture & taste as well as extend and flavour meat dishes, stews, relishes and casseroles.